Life insurance function - At a glance, it's not hard to see what life insurance functions are for your financial security and beneficiaries like your family members. When you die suddenly before the end of the coverage period, you will not leave the family in financial trouble. The life insurance benefits of Allianz, Prudential, Axa and so on are more or less the same although there are differences in the services provided. 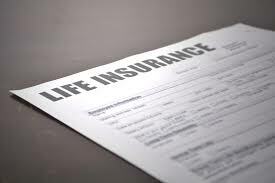 However, there are other benefits given life insurance, either for personal, the company that provides insurance for its employees, as well as the insurance company itself. Did you know that your life insurance is beneficial in taking home loans? If you plan to apply for a mortgage loan, one of the documents that should be provided is a statement that you already have life insurance. This is because mortgage loan repayments can last quite long, especially if you and your spouse have a limited income so you must set the budget tightly to be able to pay mortgage installments to complete. Take for example you and your wife have a combined sum of approximately 15,000,000 Rupiah. You decide to take a mortgage loan with an advance of about 25% of the house price, 20 year installment, and the interest rate percentage at 15%. Every month, for 20 years, you are required to pay around 5,268,000 Rupiah. Imagine if something happens to you before the mortgage credit period ends, how will the family you left will continue to pay the mortgage loan? KPR actually has life insurance to deal with this problem, and some insurance such as life insurance AXA Mandiri also provide services for the purposes of collateral mortgage payments. However, the insurance attached to the mortgage will only benefit if death occurs, not a total or permanent disability. So, make sure your life insurance is complete enough in terms of services, so that mortgage installment feels lighter and not burdensome. Life insurance is also beneficial for companies that employ employees and insurance companies themselves. Companies that provide adequate life insurance will be ranked higher in the recruitment market, where companies like this will have no trouble attracting professionals and trained workers to work in the venue. Higher points will be awarded to companies that provide specific, comprehensive insurance options, such as the benefits of Prudential life insurance for pregnant women and the fetus (PRUMy Child) that mothers and families desperately need. What about the insurance company itself? Institutions of life insurance companies are also very dependent on loyalty policyholders. When you buy a policy package, life insurance benefits for the company itself only show its financial benefits when policy ownership has stepped around the fifth year. No wonder the insurance companies compete to provide facilities, bonuses, and offers for the community to remain loyal to the policy for many years. As a consumer, you can take advantage of this. Talk to an authorized agent to find out the possibility of a premium discount, as this information is sometimes noticed when you talk to an agent. If you intend to extend the policy and include someone, or extend the policy after more than 1-2 years, you may inquire about the possibility of premium deductions or discounts, or any other benefit as a loyal policyholder. By understanding the function of life insurance for all related parties, you can benefit and better understand your rights in terms of insurance.